If there was ever someone who could teach us a thing or two about branding, it would be the successful brands themselves. That’s why we have decided to include a new category for our blog, where we pick a sensational brand, study what makes it tick, then share it with you right here. For this month’s brand, we are going with one that has caught the eye of many entrepreneurs, especially entrepreneurs who loves learning by listening to successful entrepreneurs share their ideas. It’s a non-profit organisation that any follower of technology, entertainment and design will have heard of, and it’s none other than TED. 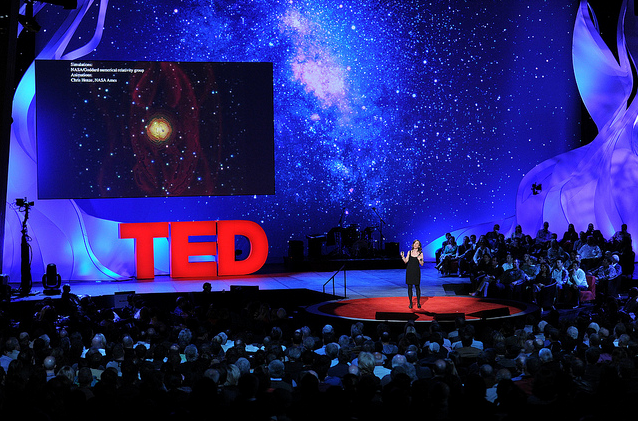 TED began in 1984 as a conference, a place where topics on technology, entertainment and design converged. They started off as a one-off conference, but has grown to become a global success, with hundreds of TED talks available online. So how did they do it? Right from the start, we can see that one of the major reasons is because TED managed to stick with their primary focus, which was to provide a powerful platform for spreading ideas. They even set guidelines for the talks, like how all of them are never longer than 18 minutes, which helped set expectations for viewers and fans all over. Today, after 30 years in the industry, they still haven’t shifted from their focus of sharing intelligent content and world-shaping ideas by world-inspired thinkers. Another thing we noticed was how consistent their branding and design remained over the years. If you visit their website, you’ll see that familiar red, 3-letter logo and that the overall website design contained that same red, but in small and strategic touches. Even the way their stages have been designed, contain consistent elements that any follower of TED will be able to easily identify. This you can easily observe on their free videos online. TED even has brand guidelines for partners to follow when using their brand, ensuring that their image remains consistent no matter who they are working with. One of the best parts about TED’s branding is that it has remained strong and consistent, despite expanding into various parts of the world and into different aspects of the industry. How they did this was to create brand extensions that were just as focused as the original brand. TEDGlobal for instance, was used for conferences held outside of the US and all over the world. They also had TED Prize, which grants its winners one wish to change the world. Other extensions include TEDx, TED Talks, TEDActive and more. Using this highly focused approach of building separate extensions, TED has managed to grow on a global basis while staying true to its roots and original branding. Naturally, the aforementioned steps aren’t the only ones that TED undertook to build its brand. If you’d like to read more about them, visit their site and browse their highly informative pages. If there are other aspects you think are highly important, feel free to share it with us in the comments section. If you’re looking to grow your brand globally without losing its identity, get in touch with Rabbit’s team of brand specialists and we’ll arrange for a complimentary consultation.